Although the distance between Sarasota and St. Petersburg is only 46 miles, Blink;Tech has maintained a home office in the Southern half of Florida’s West Coast for our entire existence. We’ve felt it’s past due to bridge the gap, and are proud to announce that we now have an office in the dynamic heart of sunny St. Pete, an area we have always loved to visit and can now call home! Whether in Clearwater, Tampa, Brandon, Largo or St. Petersburg, we here at Blink;Tech are ready to meet the tech services needs of Tampa Bay. Wonder who we are and what we do? Read on to find out! We’re an all-encompassing technology company offering a full range of services. Need a website designed for your small or mid-size business? We’ve got you. Confused about Internet Marketing? We’ll help you reach your ideal clients and navigate the sometimes confusing world of search engine optimization (SEO), pay-per-click (PPC) advertising, unique trackable social media links, lead magnets, marketing funnels, email marketing campaigns and more. Need social media? We provide social media and, most importantly, the knowledge of Facebook and Instagram advertising. We’ll also help you with carefully curated brand content, including video production (getting that perfect video to attract your clients/customers) and blog posts. Have a goal that’s big but requires extensive coding, such as a web-based system or application? Our web engineers are here to serve. What about a start-up or other entrepreneurial internet idea? We want to make your innovative dream a reality. The team at Blink;Tech doesn’t just talk the talk–we walk, dance, skip and truly know technology. Our founder and head web engineer Paul Boivin has collaborated with companies such as IBM, AOL Time Warner, Fannie Mae, and HUD, to name a few. He has participated on many web enablement projects helping companies leverage their legacy systems. All of our team has extensive training and background in their disciplines and many years of experience with top companies, both in the for-profit and non-profit sector. Our staff also live rich and varied lives and have published novels, performed in film and plays, conducted orchestras and even taught meditation! This balance allows us not only to know the tech world, but also keeps us connected to the world at large! We are here for you! We consider ourselves to be your technology partners. We listen, we ask questions, we work together to find unique solutions. There’s no question too small and no dream too big! And while we realize that distance is not a real boundary–not only do we have clients located across the US, but also team members–by having a physical presence in the Tampa Bay area, we can establish a connection that many feel is lacking in this day of virtual technology. Thank you Tampa, Clearwater, and St. Petersburg for welcoming us! 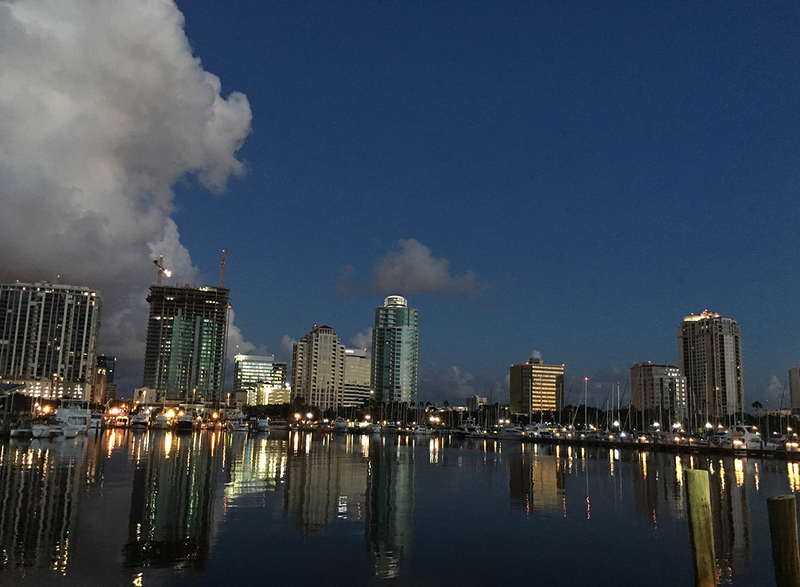 We’ll meet you digitally–or in person–in downtown St. Pete!